As part of the controversial project to lay a 9.2 kms road through the Gandhi Krishi Vignana Kendra (GKVK) of the University of Agricultural Sciences’ forestland, BBMP has cut down 680 trees, some of which were part of the university’s germplasm collections according to a survey undertaken by the Conservator of Forests, Bangalore Urban Circle. Germplasm collections are wild varieties of various crops that are collected and planted in different parts of the GKVK campus. The wild varieties are then crossed with conventional ones to create a hybrid. Sources within the university as well as the Forest Department have confirmed that three or four varieties of Sapota trees (also called chickoo) as well as Mango, Jamun and Tamarind trees were all part of a 28-year-old orchard that is present on this part of the university. 680 trees have already been felled according to the forest department’s survey. Pic: Save GKVK movement. The work for the road began on 23 March 2009, with demolition of GKVK’s compound wall and felling of trees. The Forest Department survey had estimated that 3552 trees are expected to make way for the road (of which 680 had already been felled). Some of the trees were part of the forestland in Attur, and the Kodigehalli and Bettahalli forest plantations, given to UAS by the Forest Department in 1968. “Germplasm collections are needed to create new breeds. A wild variety of any crop might be a good survivor but low in yield and a conventional variety might give high yield but cannot survive harsh conditions. So I cross these to create something that is high in yield and can survive conditions like say a drought,” explains Dr D Nuthan, the Associate Director of Research, UAS. Map of GKVK shows areas where germplasm collections have been felled. Credit: Bhanu Sridharan. The entire process of developing a single new breed takes six years. The data is then shared with research institutes throughout India. “All the 18 faculties in the university depend on germplasm collections,” he adds. Crucial studies like honey bee pollination for example, are dependent on a clean atmosphere. Exposure to heavy traffic and increase in gases such as Carbon Monoxide and Sulphur Dioxide would cause honeybee colonies to move from existing field sites thus jeopardising such studies. Felling trees in any area within city limits is subject to the Karnataka Preservation of Trees Act. According to this law, trees on public or private land can only be chopped after seeking permission from Tree Officer of BBMP through a written permission. The application must be accompanied by a site plan and details on the number of tree cut and the kind of trees being cut. The Tree officer must then inspect the trees before giving his permission. M R Suresh, BBMP’s Tree Officer confirmed that he was aware that the BBMP had cut of trees from the germplasm collections. He says, “These are only sapota trees that have been cut”. “The university is exempt from the Tree Preservation Act as it is government land. No permission is needed to cut these trees,” he adds. The GKVK campus of the University of Agricultural Sciences also renowned for its biodiversity and BBMP’s road laying project has run right into it. According to a survey that was submitted to the National Biodiversity Authority (with a proposal for deeming the campus a biodiversity heritage site) the campus is home to 530 species of plants, which include 46 medicinal plants, six rare plants and 4 endemic. The campus includes specimens like Mango, Cashew, Oil Palm, coffee for research in Agro Forestry and horticulture. The campus also has a high density of Sandalwood trees and is an ideal place for its natural regeneration. The UAS also has 23 national level coordinated research projects underway, each of them focussed on a particular crop. GKVK has 13 species of mammals, including the Slender Loris (a species that is only found in forests in South India and Sri Lanka), Jungle cats, Flying Foxes (type of bat) and even a small number of wild boars. The survey lists 10 species of reptiles that include Cobras and Indian Pythons. The campus is an ornithological delight, with a whopping 165 species of birds. There are 99 species of butterflies including two highly endangered ones—the Crimson Rose and Danaid Eggfly— listed in the Schedule 1 of Wildlife (Protection) Act. Butterflies are excellent indicators of a healthy ecosystem, and the presence of two highly endangered ones is perhaps testament to the existence of an unspoiled land within city limits. On the face of it, the matter has developed into a tussle between a civic body wanting to construct a road in an ever-growing city and several former university vice-chancellors as well as city-based environmentalists and citizens wanting to protect its green cover or what’s left of it. But what appears to be a mere conflict of goals between the city corporation and the university has several unanswered questions and even allegations lurking underneath. BBMP originally proposed the road as a 100 feet road, to connect the Yeshwantpur-Yelahanka expressway to Bellary Road (NH 7). The link road was to begin at the main entrance to the University of Agricultural Sciences (UAS) at Bellary Road, cut through prime forestland and end at the Yeshwantpur-Yelahanka Expressway. It was going to split the campus into two, with the National Centre for Biological Sciences on one side. However, a new route was proposed in meeting of the university’s governing body, the Board of Regents on 18th August 2009, and the Board approved it. Any decision as far as land diversion is concerned can only be taken by the governing body, the Board of Regents. This link road will begin at Attur, near the Yelahanka-Yeshwantpur main road, wind its way through the GKVK campus cut through the campus boundary near the National Centre for Biological Sciences (NCBS), cut through the Larson & Toubro (L&T) premises before reaching NH7 (Bellary road). Until, that meeting, the Board of Regents had categorically opposed the construction of a major road through their campus and had rebuffed the BBMP’s requests for 24 acres of land for the project. Concerned citizens protesting outside GKVK campus on Bellary Road. Pic credit: Save GKVK movement. A highly placed source at the university says that Principal Secretary, Agricultural Department, Dr S Subramanya was strongly in favour of the project. Subramanya was BBMP commissioner before he was transferred to the Agricultural Department earlier this year, during the controversy over the infamous washing away of a boy in a city storm water drain. The Agriculture Secretary of the Government of Karnataka also sits on the Board of Regents of UAS. The source says that Subramanya reintroduced the issue at the 18th August meeting and invited engineers from the BBMP and BDA to speak at the meeting. Sources point out that this action itself was ‘illegal’ as no outsider is allowed in a Board meeting without express invitation of the Chairman. UAS Vice-chancellor Dr P G Chengappa is the chairman of the Board. Incidentally, Subramanya is no longer the Principal Secretary of Agriculture, having taken up voluntary retirement on the 30th of September. As reported earlier, the proposed road made no appearance in the original draft of the Comprehensive Development Plan for Bengaluru, but the final version, the Master Plan 2015, issued on June 25th, 2007, showed the link road. As noted in our earlier story, several vice-chancellors filed a PIL and the case is now in the High Court,. The petitioners have accused BBMP of violating the Karnataka Tree Preservation Act as well as the Forest Conservation Act. Before using forest land for any non-forest purposes therefore, BBMP should have fulfilled certain provisions. This includes conducting an Environmental Impact Assessment and awaiting permission from the Ministry of Environment and Forests (MoEF), New Delhi. Conservation laws apart, two separate state government orders (one in 1968 and 1984) while releasing the land to the university placed certain conditions that UAS is obligated to preserve land as a forest and regenerate it. The land is not supposed to be diverted for non-university purposes and any violations of these rules could result in the land being taken back by the state government. This fact was confirmed by a highly placed source in the Forest Department. Ironically, the state government appears to be a part of the problem even though it was the original grantor of land to the university. BBMP in a letter dated 19 September 2009 to the Deputy Conservator of Forests, Bangalore Urban Circle, has claimed that the project had political sanction from the Chief Minister B S Yeddyurappa. A copy of this letter is with Citizen Matters. Stating that the BBMP was putting the project on hold until further directions from the state Forest Department, B S Prahlad, Executive Engineer of the Yelahanka Division argued in the letter that the road could not be called unauthorised as the Chief Minister himself had laid its foundation on the 2nd of March 2009. Prahlad also wrote that the UAS is exempt from the Tree Protection Act and the Forest Office in the BBMP had held discussions and taken up the work of clearing the trees. Meanwhile, in response to the PIL, a vacation bench of the High Court, on the 25th of September 2009, ordered a stay on the felling of trees by the BBMP until further notice. The court however, stopped short of ordering the BBMP to stop construction work itself. Even as the case awaits the next High Court hearing, a few concerned citizens under the Save GKVK banner and held a protest outside the GKVK entrance on October 12th, 2009. 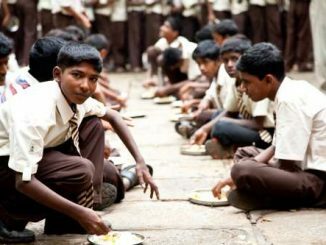 Chief Minister Yeddyurappa’s ABIDe task force recommends that state government follow a local, need based approach in making unaided schools admit low-income students. People protest against BMRCL’s recent move to cut down trees at Lalbagh for its Metro project. Read all about the saga, proposed alternatives and the legal angle. This is an extremely foolhardy step by the BBMP & indicates their shallow understanding of infrastructure requirements of Bangalore. There are other projects which are crying for attention but there seems to be some unwanted urgency in pushing this project through. Definitely there is a land mafia as well as timber mafia behind this venture. This project will kill whatever little remains of bangalore’s environment. Also it is surpsrising to note that BSY has sanctioned this project. I think this government is extremely short sighted on environmental issues – take Gundya projet for example. We only hope that the HC & ministry of environment refuse to give clearance. I am a resident of Vidyaranyapura, yes I defnetly ugrry to the writer comments on cutting of trees and saving trees, but I would also like to share that the link road which was planned by BBMP was a boon to may people who travel daily to yelahanka and bellary road, as the road from Vidyaranyapura last bus stop to yellahanka is verry narrow. Many heavy vechals, buses use the only road between the residencal houses. Even many accidents has also accured in the past. I think the road between yelahanka and bellary road will be usefull for many people and a safe one. Great write-up, illustrating the rank incompetence and mediocrity in our city administration. It’s amazing that they continue to lurch from one incompetent act to another on a regular basis. When will we get progressive thinkers to run our city?